Marketing is usually not cheap, let alone free. But did you know that there are some pretty cool (and free) ways to make your business more visible through media coverage? It’s true. Journalists and reporters from radio, T.V., and print outlets like to tell stories about interesting businesses and entrepreneurs. They get easy access to a human interest piece. You get free publicity. Everybody wins. There’s also a demand for industry experts to lend knowledge and advice. Journalists often bring in reliable sources to supply knowledgeable commentary. You could be one of those sources. Free Media Coverage Sounds Great, But How To Do It? You could seek out a news reporter or journalist yourself. It’s not hard to find out which journalists cover which kinds of stories. Once you have that information, you can pick out the professionals with an interest in what you do. Then shoot them an email or call them to make your pitch. Demonstrate why your business would make a great candidate for media coverage. If you’re emailing, you can reach a lot of different media professionals at once. However, it’s a good idea to add a personal twist to each email. That way, it won’t come across as spammy. At the very least, use each contact’s name, rather than using a generic form of address like ‘dear sir or madam’. You could use a service that connects businesses and nonprofits with media outlets. The biggest and most notable of these is HARO (Help a Reporter Out). 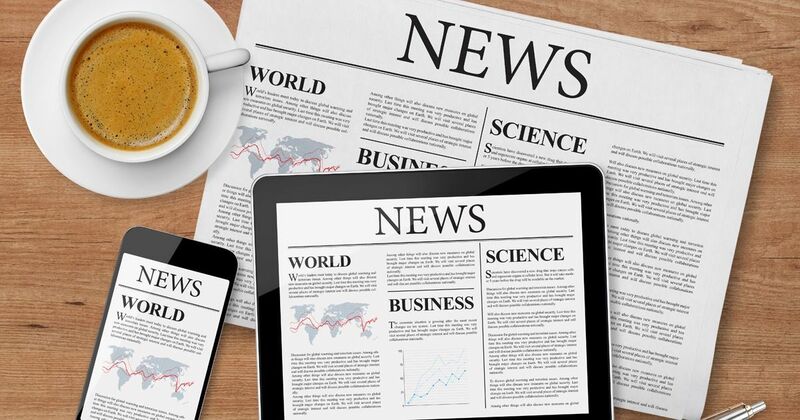 HARO connects sources (you) with reporters who work in print, online, television, and radio media. Reporters in search of sources must meet certain criteria. So, you know you are not wasting your time on outlets where you won’t be seen. When journalists are looking for sources, they put out a query, and HARO sends queries out to potential sources via email. Three emails are sent per weekday. If you think you’re a good fit for a query, you respond with a short bio and answers to the questions posed by the journalist. If you’re chosen, the journalist may choose to interview you by email, phone, or in person. You might even make it on T.V.! Major news outlets do use HARO, so it’s theoretically possible to make it on national news. Not quite free, but Prof.Net offers a very reasonably priced service that’s similar to that of HARO. This site connects experts with journalists, and you only need to pay $50 to $100 per year. As marketing costs go, that’s pretty low. The subscription price also tends to filter out spammers and others who aren’t really serious about participating. On the other hand, you aren’t paying to promote your business. Instead, you’re paying for the opportunity to promote your business. It might work out perfectly, or it might amount to nothing. But it’s a pretty small gamble, after all. You might be a little confused about how Prof.Net works, so I’ll provide a quick example. Let’s say you teach cooking classes. You’re a classically trained chef and you love to share your knowledge with others. You set up your Prof.Net profile, explaining your expertise. When a journalist is looking to create a story that includes some cooking tips, he or she will send out a query to which you can respond. You can then lend your knowledge in exchange for a nod in the article, if it’s a written piece. For T.V. or radio, you might get a quick mention, or you might even get your face, voice, or storefront out there for the world to see. To Make the News, Stand Out! News outlets aren’t interested in covering Joe Shmoe and his Very Average Bookstore. They’re not running a charity after all. The relationship between journalist and source has to be mutually beneficial. Whether you’re doing the legwork yourself or using one of the sites mentioned above, you have to show why your story is of interest to an audience. Do you have expertise to share? Is there something particularly unique about your business? Is there a great story behind your business? Joe Schmoe might actually get noticed if he points out that his bookstore is over 100 years old and was the first bookstore in his city. Or maybe Joe has extensive knowledge of rare books. Perhaps visitors to his bookstore enjoy hanging out with the resident adopted stray cats. Any of these angles might help him and his business stand out. Well, first of all – it’s free! And getting free publicity can be huge for a small business or a start-up on a tight budget. Cost savings isn’t the only plus though. In some ways, media coverage is actually better than paid marketing. For one thing, people tend to trust journalists and news reporters. So a positive mention in the news may carry more weight than an advertisement. The effect is temporary, of course. But the extra exposure could help drive traffic to your website or visits to your brick-and-mortar business. Another huge positive is the chance to list third-party logos on your website. An “as seen in” badge from a respected news outlet like The Wall Street Journal or Time Magazine can give you extra credibility. Being featured in a news story can also drive up your Google search ranking. So sit down and get to thinking about what you have to offer. Whether it’s woodworking tips, an interesting story about you as an entrepreneur, or a quirky anecdote about your business, get the word out. Then, wait and see who bites. Media coverage is a component of our public relations services. If you would like to learn more about our public relations service and how we can do the heavy lifting for you and tap into media coverage, contact us for a 30 min free consultation.